 Positioned in central North Carolina, Chatham County has high quality transportation infrastructure that helps drive business. The network strengthens our community, helps drive business and makes it easy for residents to stay connected. North Carolina has the largest state-maintained highway system in the United States. Centrally located on the eastern seaboard, our community is midway between Maine and Florida. Connections to major routes put businesses within a two-day truck drive of millions of consumers and suppliers. Regionally, Chatham is within four hours of Washington, D.C., six hours of Atlanta, three hours of the Blue Ridge Mountains and two hours of the Atlantic Ocean. Both Norfolk Southern and CSX rail service is available in Chatham County, major assets for connecting businesses to national and global markets. Norfolk Southern connect to major deep water seaports in Morehead City, Wilmington (NC), Norfolk (VA) and Charleston (SC). CSX connects to Wilmington, Norfolk and Charleston seaports. Air service is available at Raleigh-Durham (RDU) and Piedmont Triad (GSO) International Airports, both within an hour’s drive of Chatham County. RDU hosts nine major airlines, offering service to 48 nonstop destinations on more than 400 daily flights. The airport served nearly 10 million passengers in 2015. Both GSO and RDU are constantly expanding to meet the increased passenger and cargo service demands. The Siler City Municipal Airport is available to serve businesses locally. The Raleigh Executive Jetport, located south of Moncure in Lee County, also serves corporate flights.